Sometimes you just have to experiment with things. 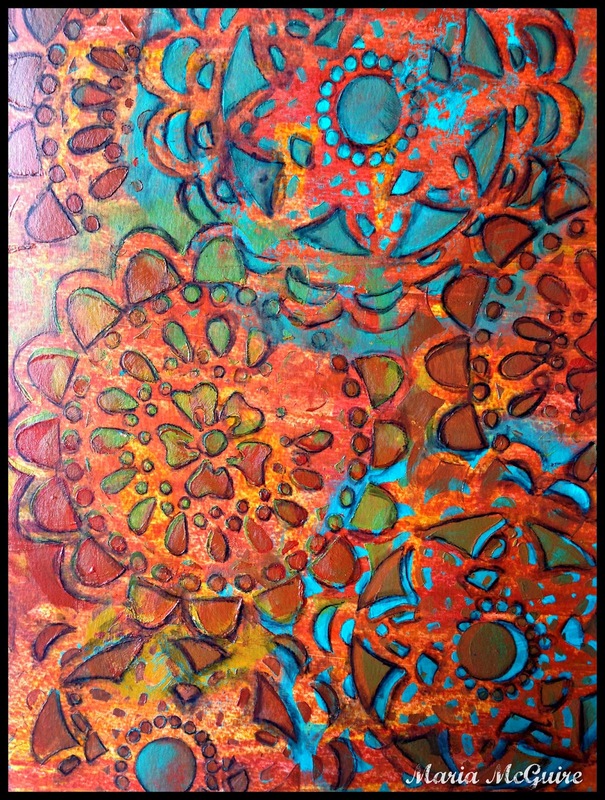 Color, stencils, paint....just try different things. 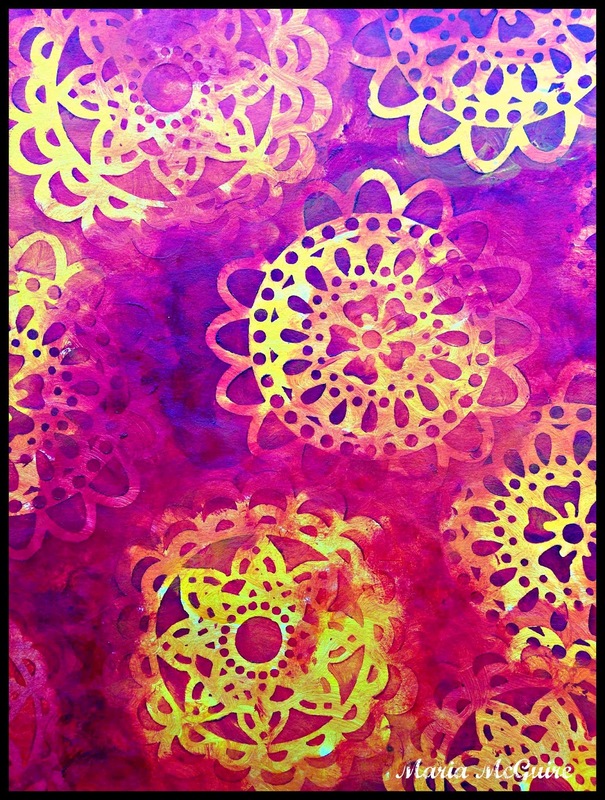 That is what I did here on some pages in my art journal using 2 of my new stencils from StencilGirl Products. I love these colors, I used to use browns all the time...how come I don't now?? Maybe I should change that. I love the finished product. Rich color. Both very beautiful Maria- the first has a southwest feel to it- but the second...mmmyummy colors! m favs!